The new leader of the Discovery Channel team believes he will peak at just the right time to handle the demands of this year's Tour de France. 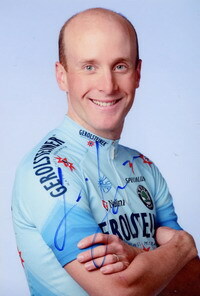 American Levi Leipheimer said the route of the three-week Tour was particularly difficult in the final week, when the race enters the Pyrenees. "I'm coming into this Tour a little more fresh and probably a little more off my best form than I have in a couple of years," Leipheimer said Thursday. "Last year, I definitely was too good too early. This year I have tried to push that back because the end of the Tour is so difficult." Leipheimer, 33, who returned this year to Discovery - the former team of seven-time winner Lance Armstrong - has finished in the top 10 in the Tour three times, but last year struggled during a time trial and finished 13th. Leipheimer will be supported in the mountains by Alberto Contador of Spain and also will have compatriot George Hincapie - Armstrong's faithful lieutenant through all seven victories - at his side. "I am very motivated this year to be back with Discovery Channel," Leipheimer said. "They are such a strong team. This team won seven Tours in a row. I feel very confident in everyone and that gives me a lot of motivation."